Vista Media Center has been in search of that perfect extender that provides support for all the best video formats, 1080p, surround sound and small, silent operation. Ben Drawbaugh of EngadgetHD reviewed the latest of the Vista Media Extenders, the Samsung MediaLive Media Adapter and reports back with his findings. This extender is a unique one as it is designed to work only with selected Samsung TVs which honestly seems like a strange limitation. But it is pretty small and can be mounted behind your TV since it can be controlled via HDMI. Findings from the review are positive in many aspects, but several big limitations including no 1080P, limited remote control support and no surround sound. 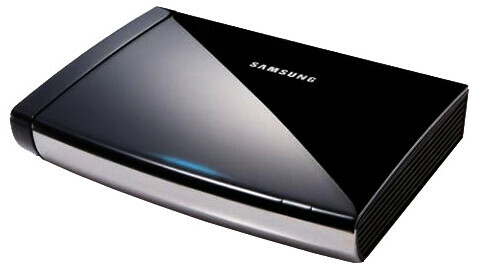 Read the full review of the Samsung MediaLive Extender at EngadgetHD.